Karel Kachyňa was one of the most famous directors in the history of Czechoslovak cinema. Even though he started his career in the early 1950s with simple children’s and war films, he managed to have an active role in the Czechoslovak New Wave that emerged over a decade later. Permanent collaborator in this transition was the screenwriter and author Jan Procházka, who had a special place in the New Wave. Their last official and perhaps most important collaboration was Ucho (The Ear) that was also one of the last films of the Wave. The film was completed in 1970 but it was never released as it was immediately banned by the censorship. The first public screening of the film happened twenty years later. 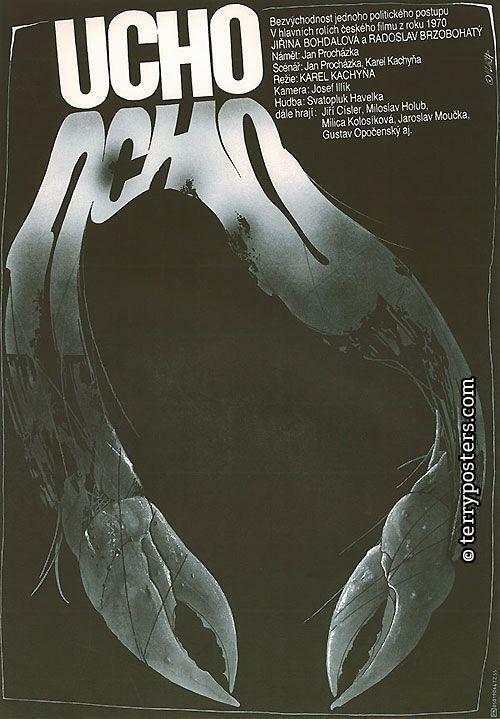 Ucho participated in the official competition at the Cannes Film Festival in 1990. Ludvík (Radoslav Brzobohatý) is a deputy minister of the Communist Party of Czechoslovakia and completes ten years of marriage to Anna (Jiřina Bohdalová). The evening of their anniversary and while they are returning from a major political reception at the Presidential Palace, they discover their villa has been broken into. A series of events such as the electricity outage, the cut telephone line, a visit of some strangers and the news that Ludvík’s superiors are politically persecuted are leading them to the conclusion that the government and the State Security bugged their house. The edgy situation during this night will cause new tensions in the already troubled marriage and will lead to extreme behaviors. Anything can collapse within a few hours, the Ear is present. Ucho is historically one of the most iconic films in the true depiction of an authoritarian regime, as was that of Czechoslovakia especially after the Soviet invasion in 1968. Using strong elements of realistic fear it is also probably the only film of this thematic that was shot just at the right time, when literally there were soldiers in the streets. The secret police, her acts and the intercepts are subjects that inevitably were presented in subsequent films especially after the fall of the Eastern Bloc and by using a tone of nostalgic storytelling. Naturally Kachyňa doesn’t fall into that category as his film is perfectly placed in time as he lives these events and he doesn’t simply narrate them. For this more accurate approach of the events the almost autobiographical scenario by Procházka is playing a catalytic role. The author was paying his fame and the good relations that he had as a senior member of the Party with a close intercept by the secret police which did not leave him alone even during his funeral. The situations that the heroes are experiencing are on the verge of paranoia as they understand that they cannot be safe literally anywhere. They know in the best way possible that no one surpasses the System and no one is above it, especially themselves who participate and organize it they are automatically the initial suspects. The System is more powerful than its own officers and they should be the first to be monitored. In a regime like that the absurdity coexists with fear and nobody can feel confident and protected. It is undoubtedly an unprecedented emotion to be in your own knowledge subjected to this process and that there’s nobody who could actually stop this fact. It is obvious that if the officials and the lead politicians are in a difficult position like that, then for the “common” people and particularly for the dissidents it is impossible to escape. Kachyňa is contrary to the viciousness and the circumstances of the era and with seemingly limited means he offers to the film an extremely claustrophobic atmosphere that begins abruptly and every minute becomes even heavier. 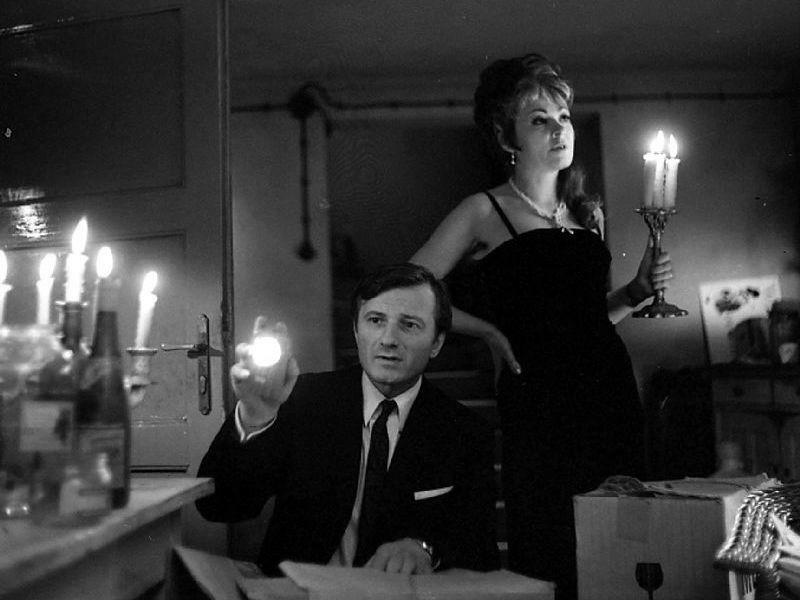 The technique of a couple’s breakdown by successive conflicts in its home, closely reminds the film version of Who’s Afraid of Virginia Woolf? directed by Mike Nichols. But Kachyňa doesn’t stay at this first approach. He demonstrates all his experience and knowledge in cinematography. This allows him to direct by moving among different heterogeneous techniques. The black and white photography used during the short flashbacks of the reception at Prague’s castle combined with light’s overexposure and the excessive close-ups reminiscent the principles of expressionism. Also all the actions into the house and the imposing use of the shadows that intensify the agony and the horror, have many elements which are encountered in film-noir. By adding finally the handheld camera, a key element of the Czechoslovak New Wave, and by giving a pseudo realistic aesthetic, Kachyňa keeps the viewers on the limits required by the story and the reality that they were living during that period. Obviously in 94 minutes it is impossible to accurately present the mentality of a totalitarian regime in all of its expressions. But Kachyňa and Procházka succeeded to include and depict all those emotions that the acts of these authorities could cause. Ucho is a movie that was shot in the right time and in the right place and for this reason it remains timeless up to date. Maybe Karel Kachyňa approached the New Wave but here perhaps, theoretically speaking, he stayed loyal to the regime’s principals that demanded movies made under the perspective of socialist realism although that realism had already long before evolved and turned into socialist terror.